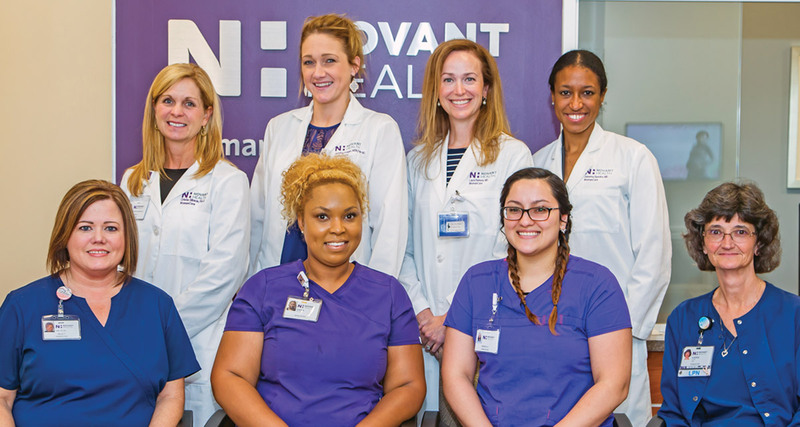 The Novant Health WomanCare – Kernersville clinic offers full obstetric and gynecologic care for women of all ages – including adolescent care, annual well visits, preconception counseling, pregnancy and postpartum care, through menopause and more. The Kernersville staff of professionals works together as a team to ensure quality care in a nurturing, relaxed environment for the women of our community. Laura B. Ramsey, MDhas been a physician with Novant Health WomanCare – Kernersville for six years. She received her undergraduate degree from the University of North Carolina – Asheville and her medical degree from East Carolina University Brody School of Medicine. She is also a veteran; she served as a Navy physician for 14 years. She and her family relocated to Winston-Salem after her discharge. Prior to her decision to enter the medical field, she was a professional ballet dancer and continues her love of the arts. Her family includes her husband, two children, a dog and a cat. Jaleema Speaks, MD has also been with Novant Health WomanCare – Kernersville for six years. Originally from New York, Dr. Speaks moved to Winston-Salem during her high school years where she met her husband. She earned her undergraduate degree from the University of Virginia and completed medical school and residency at Wake Forest University School of Medicine. Dr. 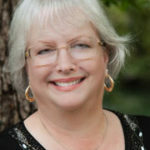 Speaks has two children and relishes her family time; she enjoys cooking and traveling. Jennifer Keiger, FNP-Board Certifiedhas been a nurse practitioner with Novant Health WomanCare – Kernersville for more than eight years. A native of North Carolina, she earned her bachelor’s degree at East Carolina University and finished her graduate program at Winston-Salem State University. She and her husband have two children and enjoy family time, traveling and activities at their church. Sarah Novelly Rush, MS, RD, LDNis the newest member; she joined the staff last June as the registered dietitian. Sarah earned her undergraduate degree at Ohio State University, her Masters of Science in nutrition at Drexel University in Philadelphia, with postgraduate work at the University of Virginia Health System. For leisure, she enjoys cooking, hiking and a good murder mystery book. Cristie Gibson, PA-C has been the physician assistant at Novant Health WomanCare – Kernersville since early 2017. She completed her undergraduate work at Hofstra University in New York and attended PA School at Wake Forest University School of Medicine. Her family enjoys traveling, sailing, running and hiking. Call to schedule your appointment with the caring professionals at Novant Health WomanCare – Kernersville at 336.765.5470. The office is located at 1730 Kernersville Medical Parkway, Suite #104 with hours of operation from Monday through Thursday 8am-5pm (closed daily from 12-1pm) and Fridays from 8am-1pm. You may also check out their website at nhwomancare.org.